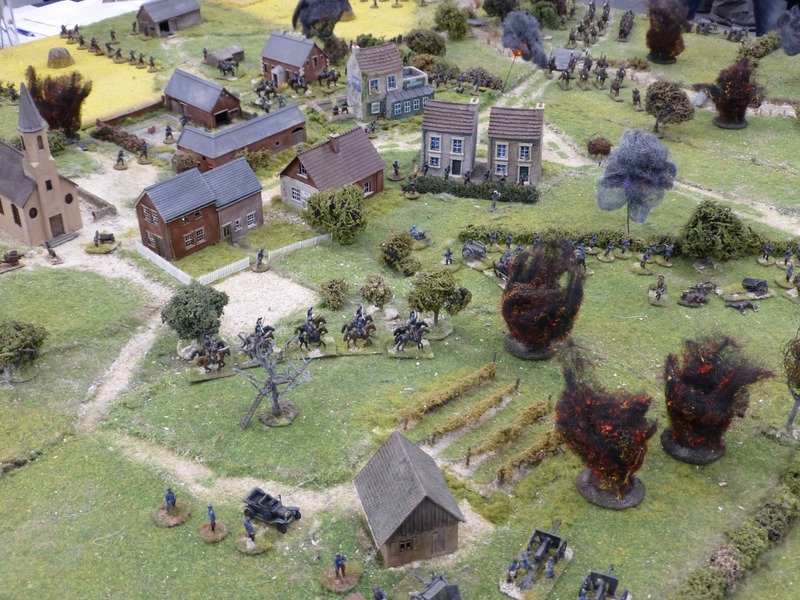 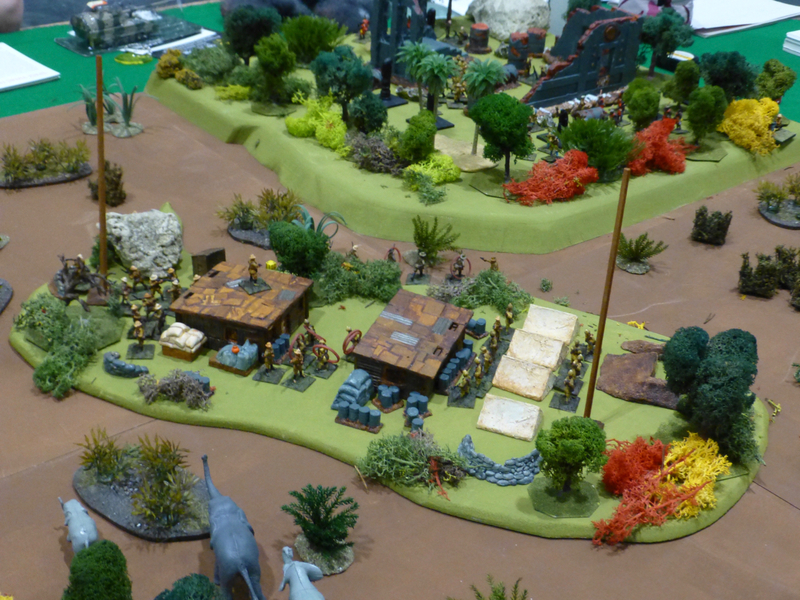 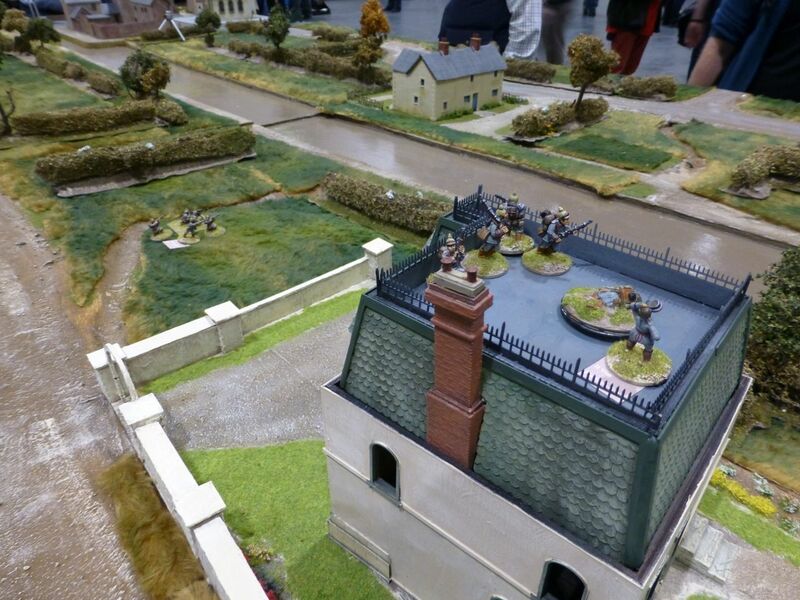 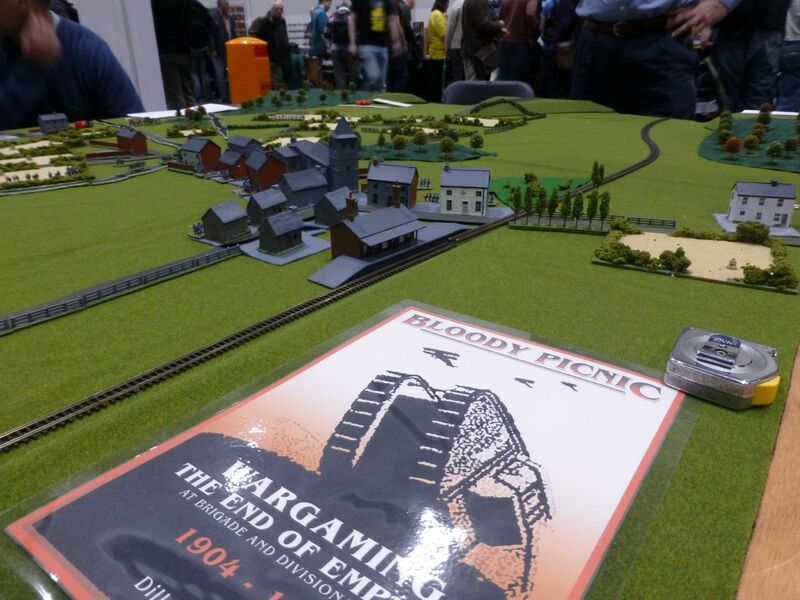 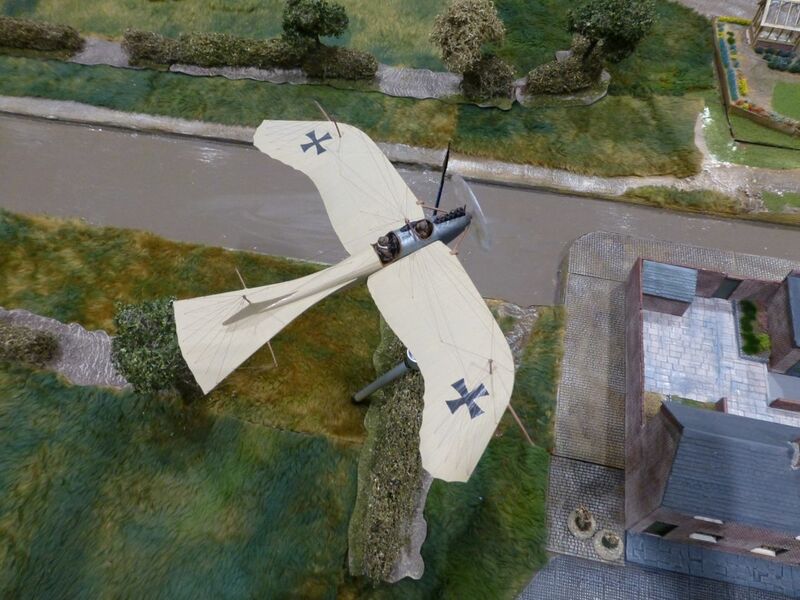 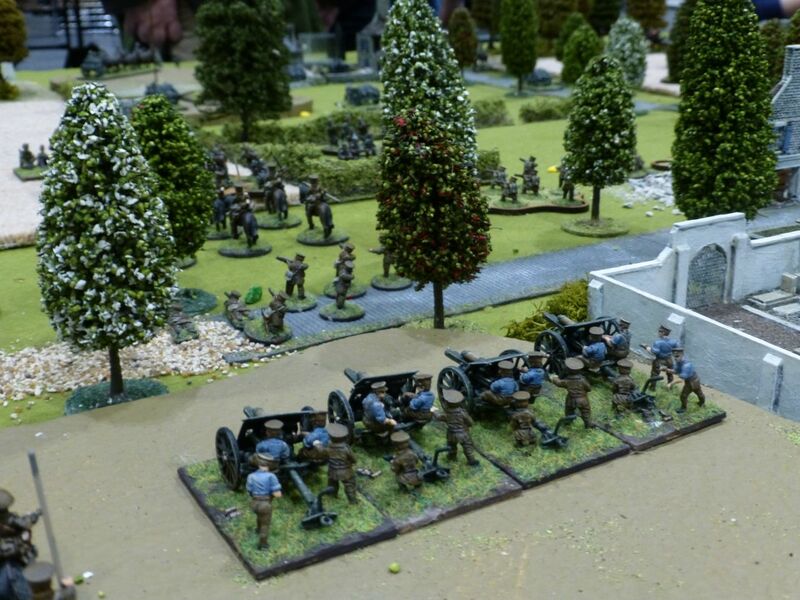 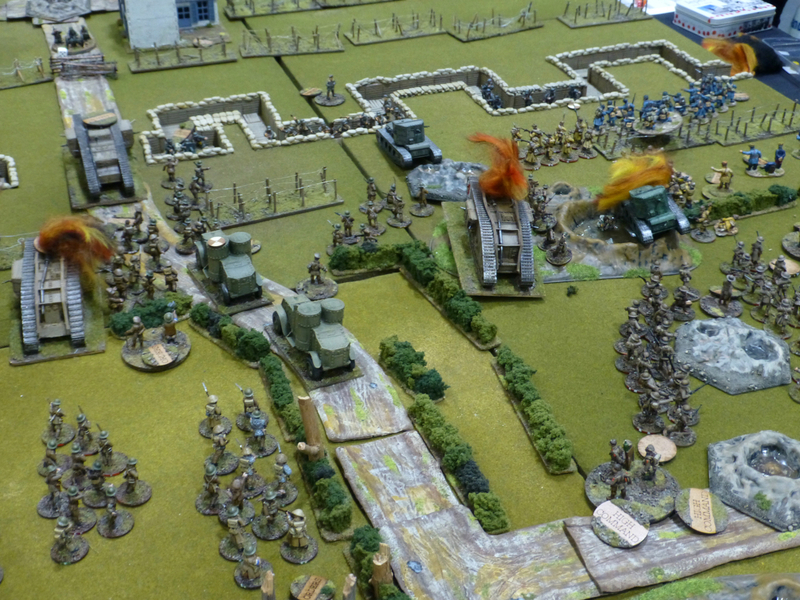 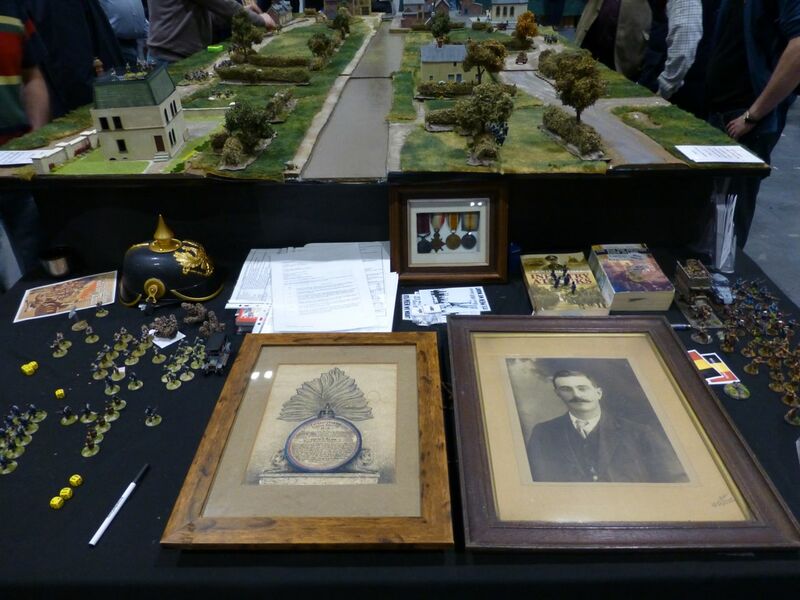 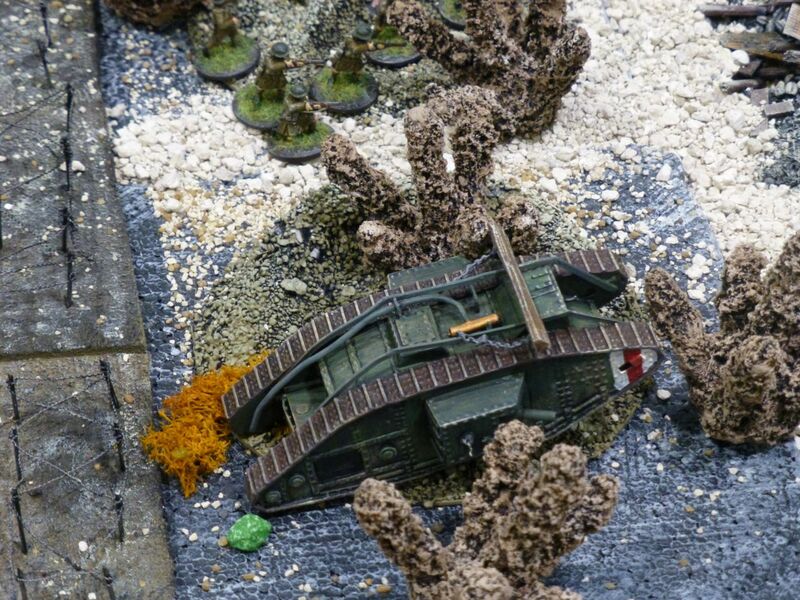 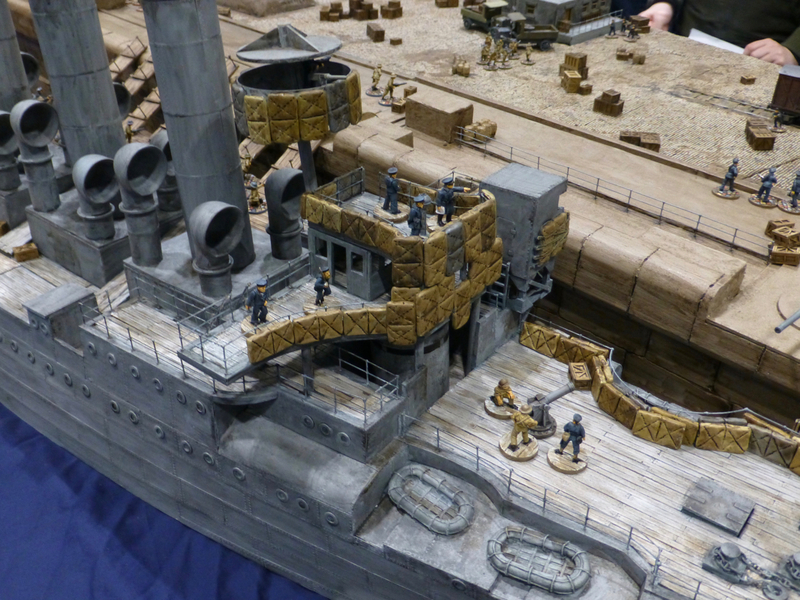 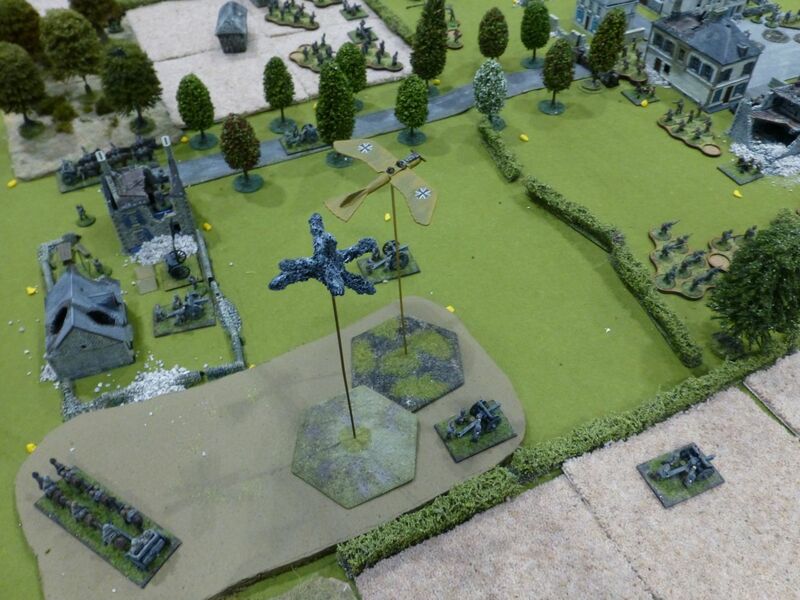 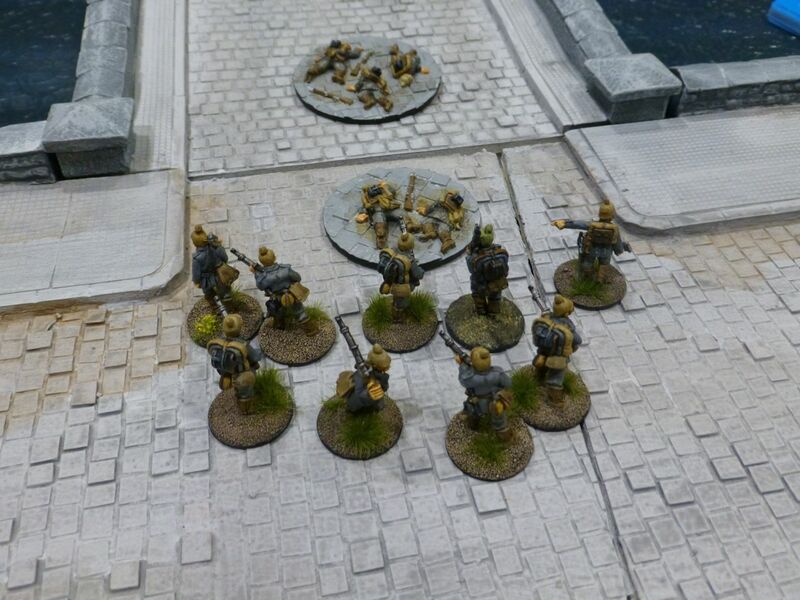 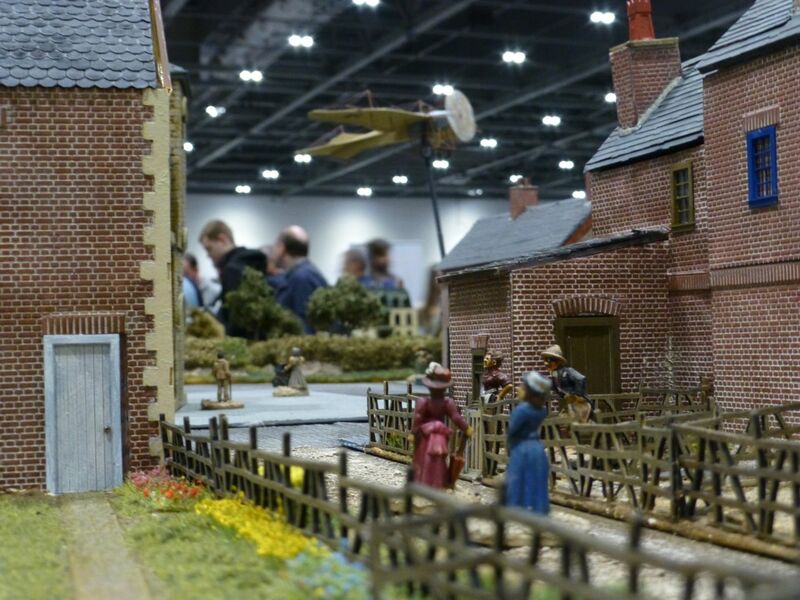 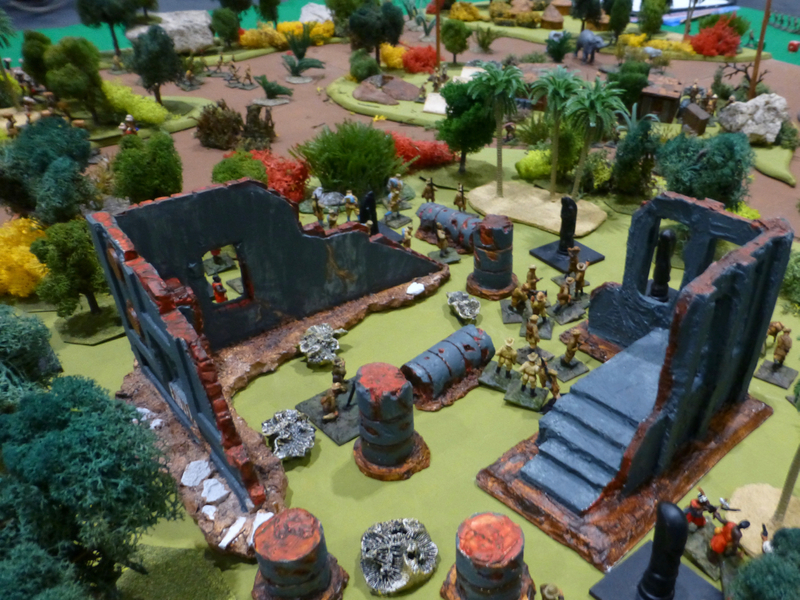 The theme for Salute 2018 was World War 1 and there were a number of tables recreating events from its history. 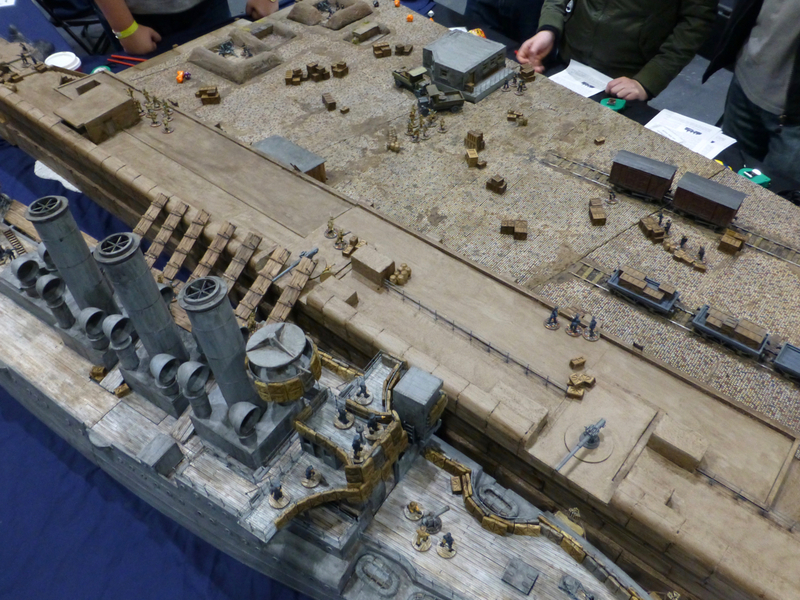 Maidstone Wargames Society built the cruiser Vindictive and the mole for the raid on Zeebrugge in 1918. 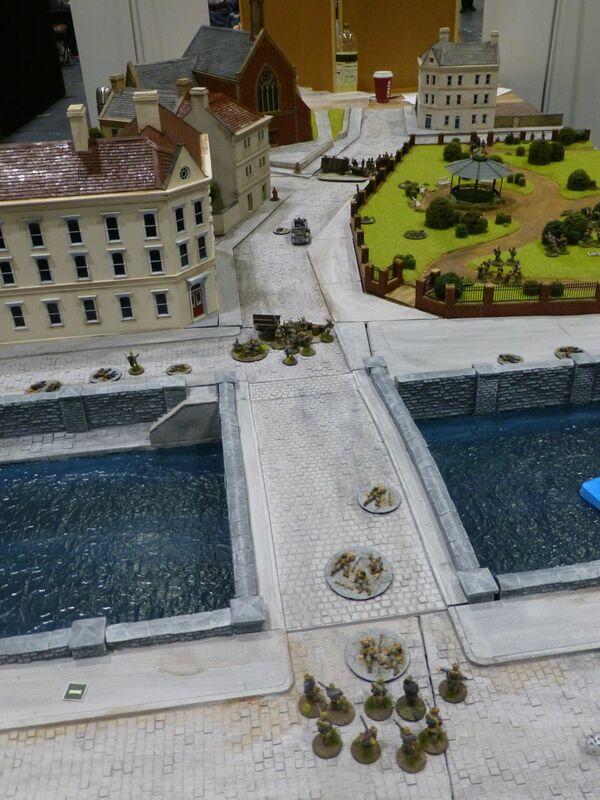 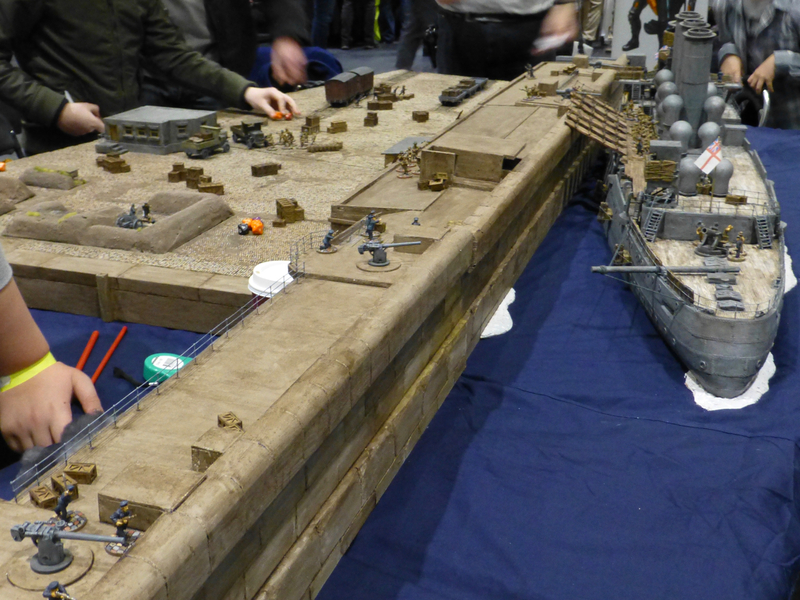 Meanwhile, the Naval Wargames Society used a smaller scale to capture the ship action leading up to the landing. 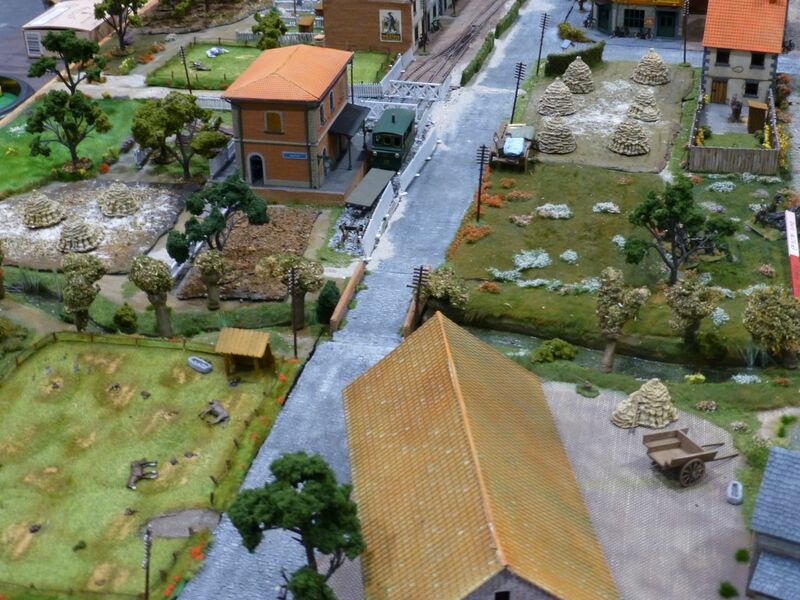 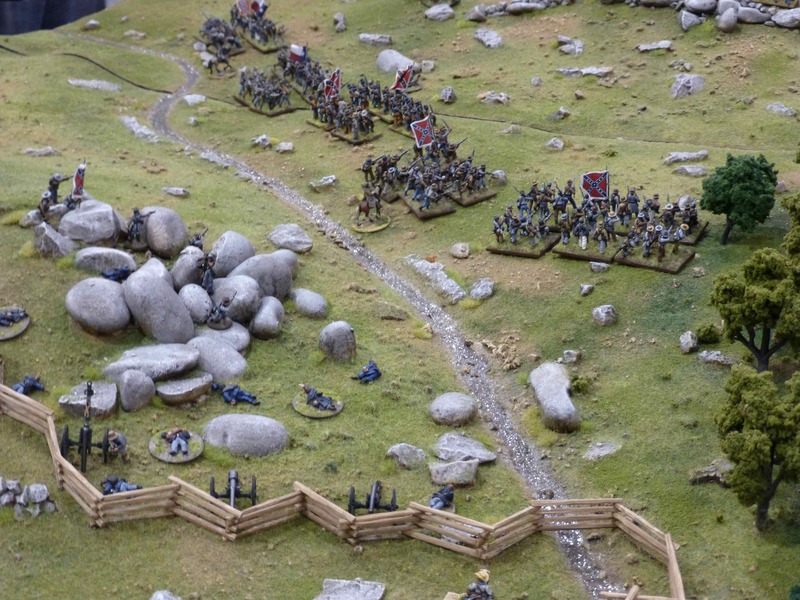 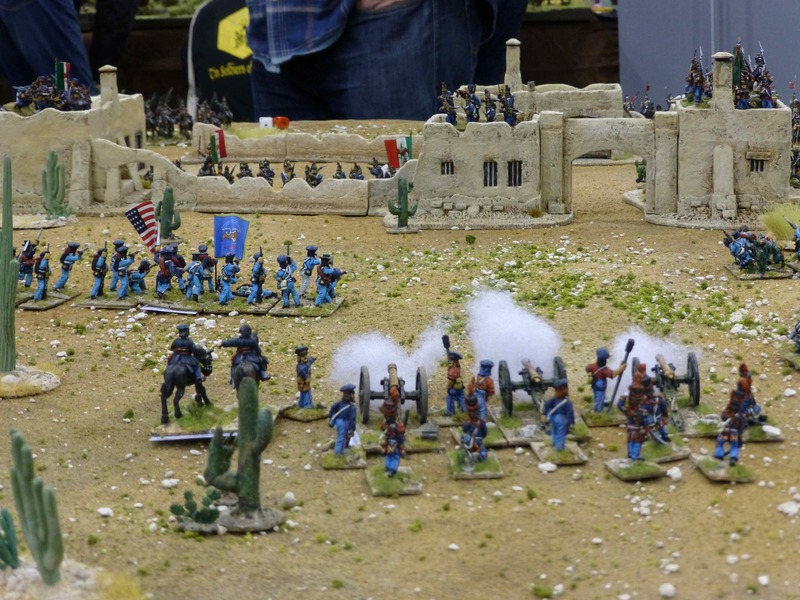 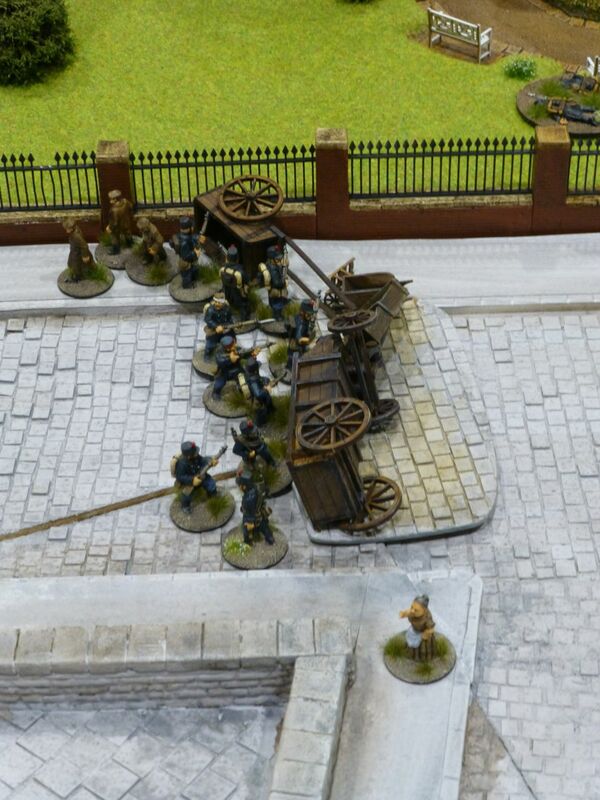 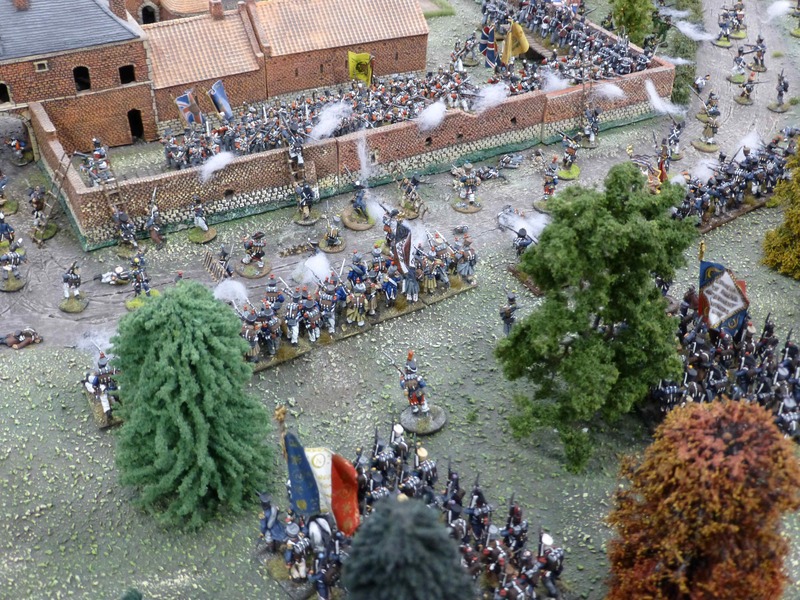 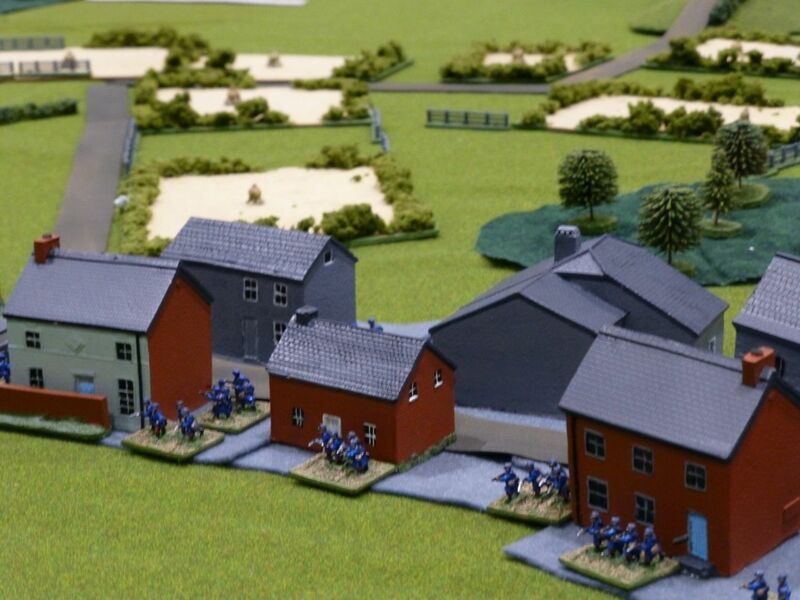 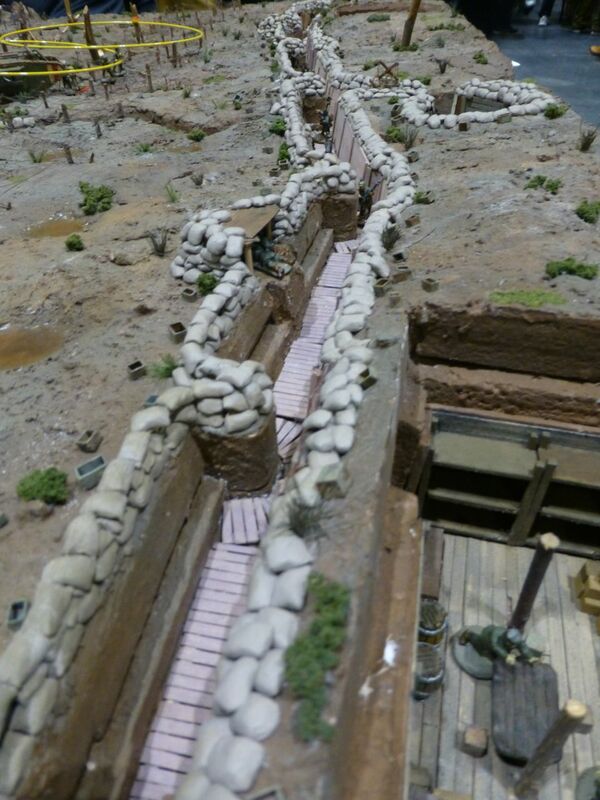 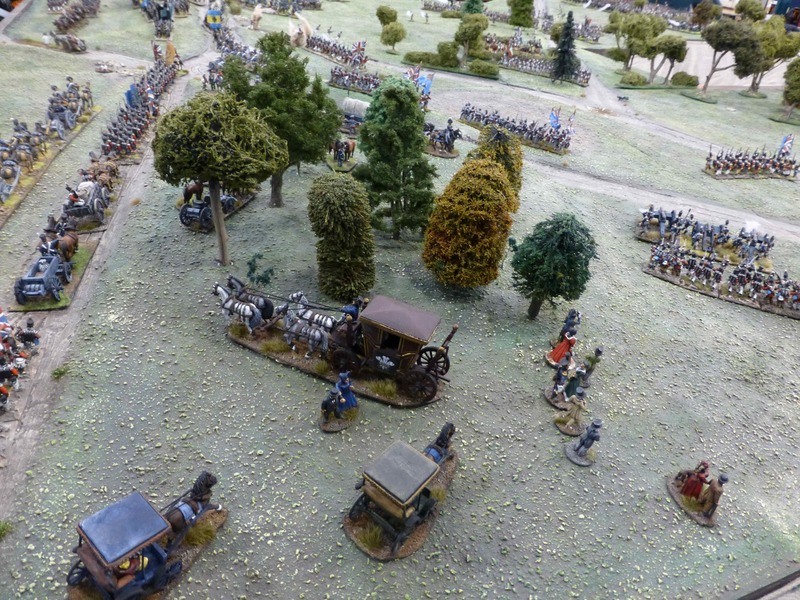 Scarab Miniatures also set their scenario during the final year of the war, with the French and British engaging in a push against the German lines. 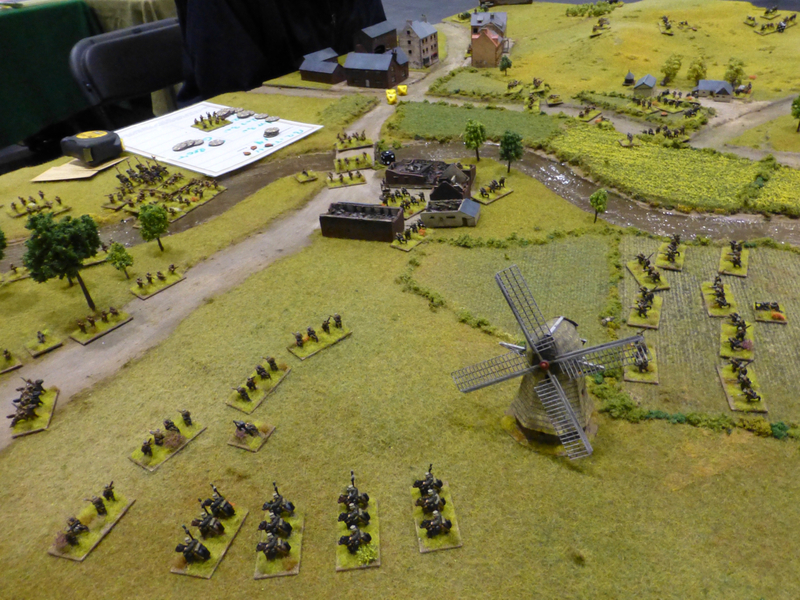 1914 was the year of Great Escape Games’ battle between brigade sized forces on the plains of Holland (I assume, due to the windmill). 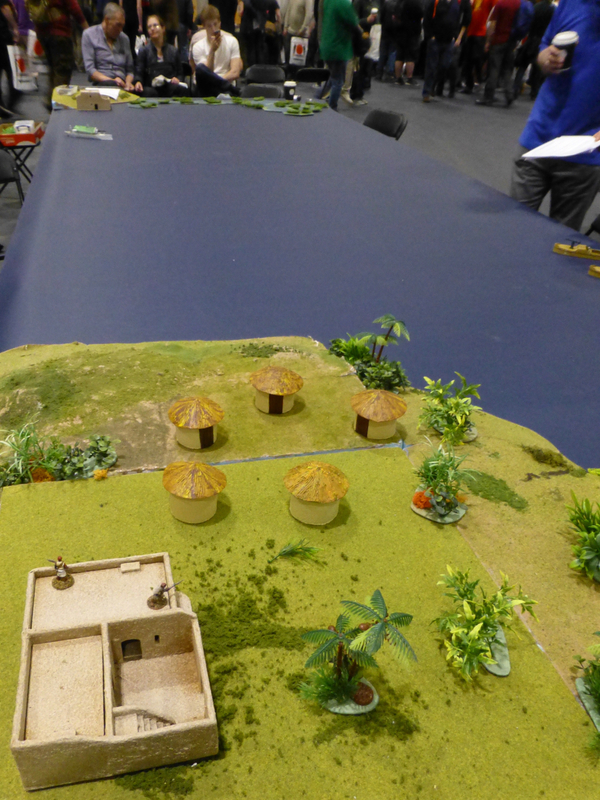 Southbourne Tabletop and Boardgamers (I believe, the records are sketchy) took the fighting to East Africa in 1914. 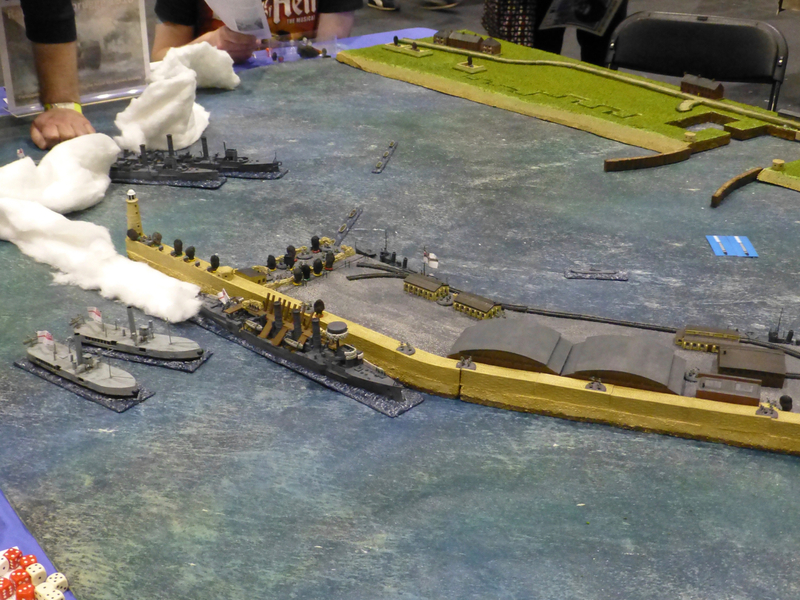 Lake Tanganika was the setting for several simultaneous naval battles fought out by Peterborough Wargames Society. 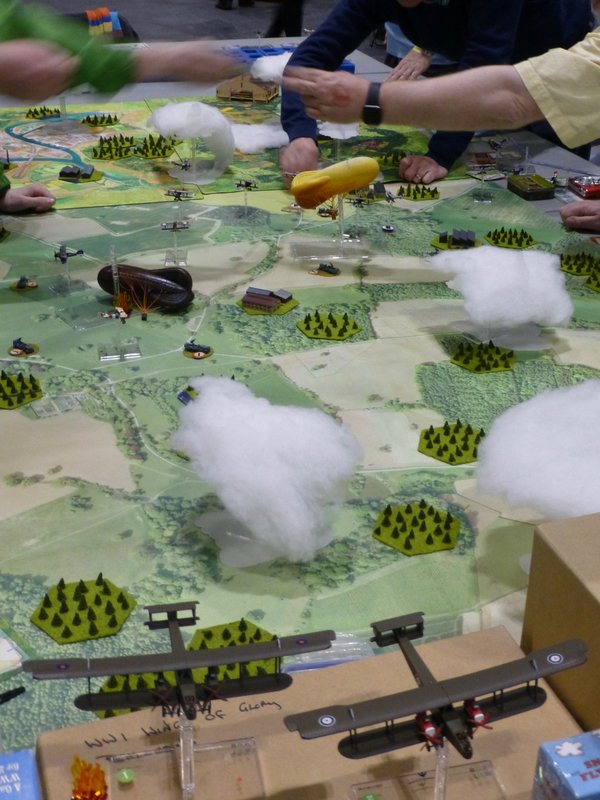 Wings of Glory Aerodrome UK meanwhile took to the skies with dogfights both in the WW1 and WW2 eras. 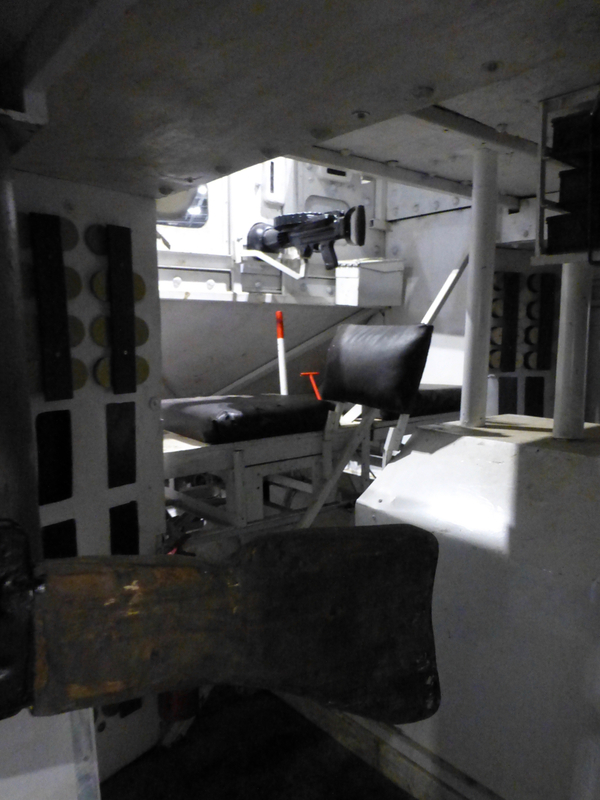 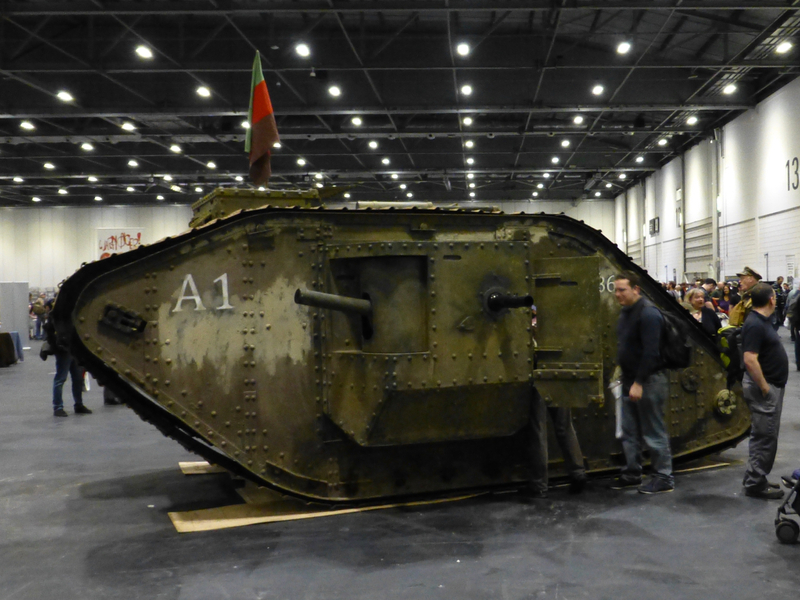 And finally, there was also a life sized World War 1 tank on display in the hall. 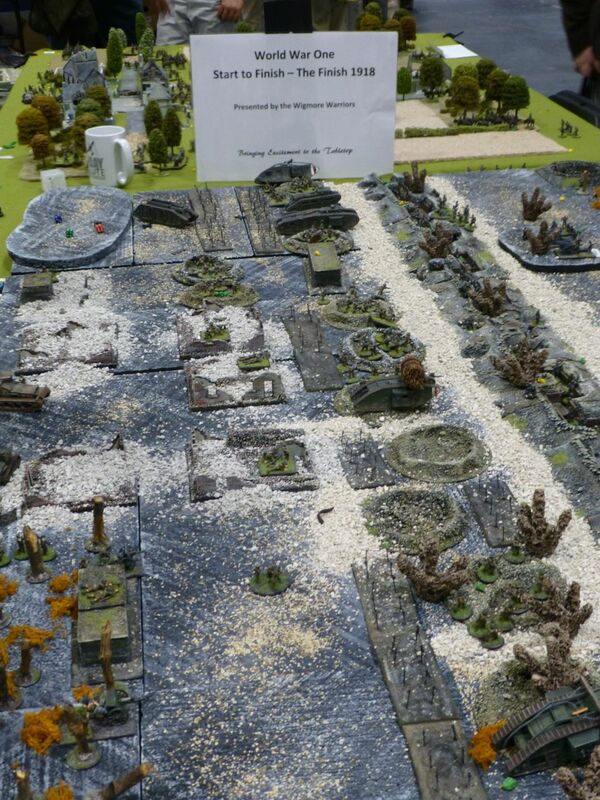 I can’t tell the marks apart, so I shall just leave this here. 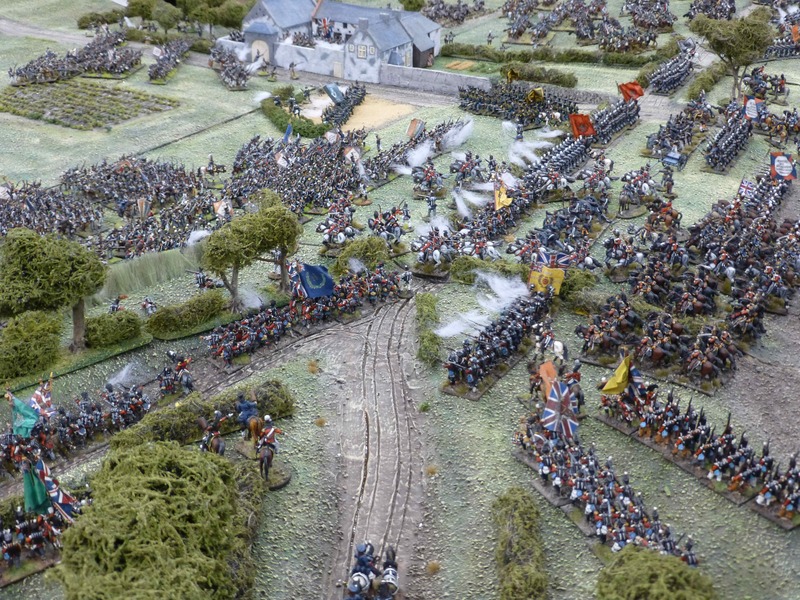 My knowledge and interest in the Napoleonic era usually extends only as far as watching episodes of Sharpe. 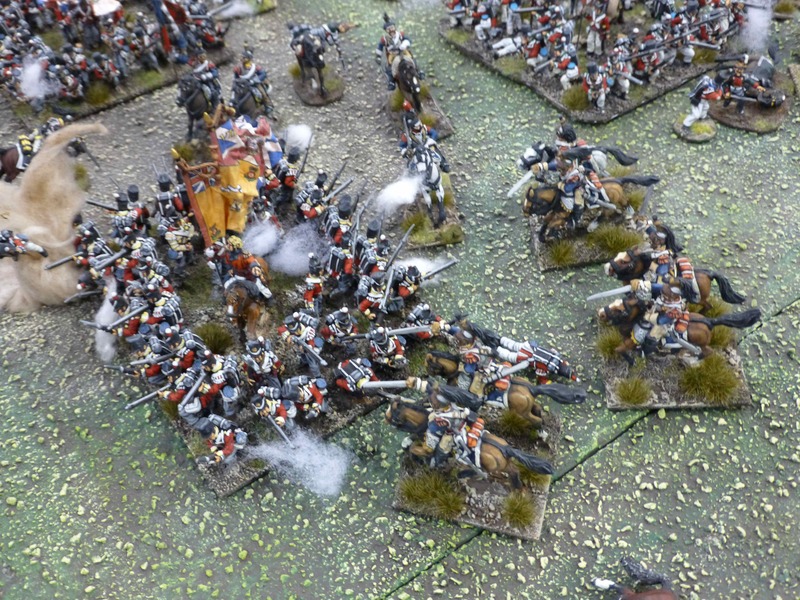 I do however like the sheer spectacle of massed colourful infantry, charging cavalry and smoking cannons that a good Napoleonic display can provide. 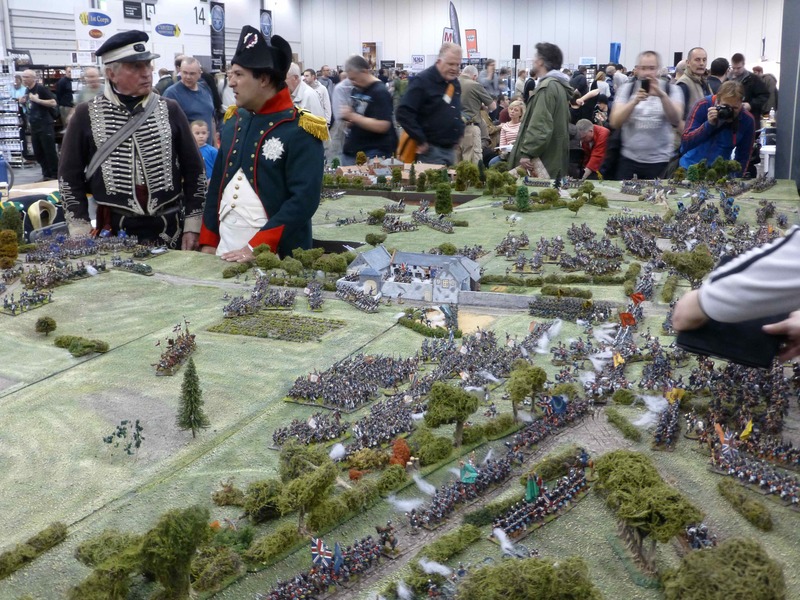 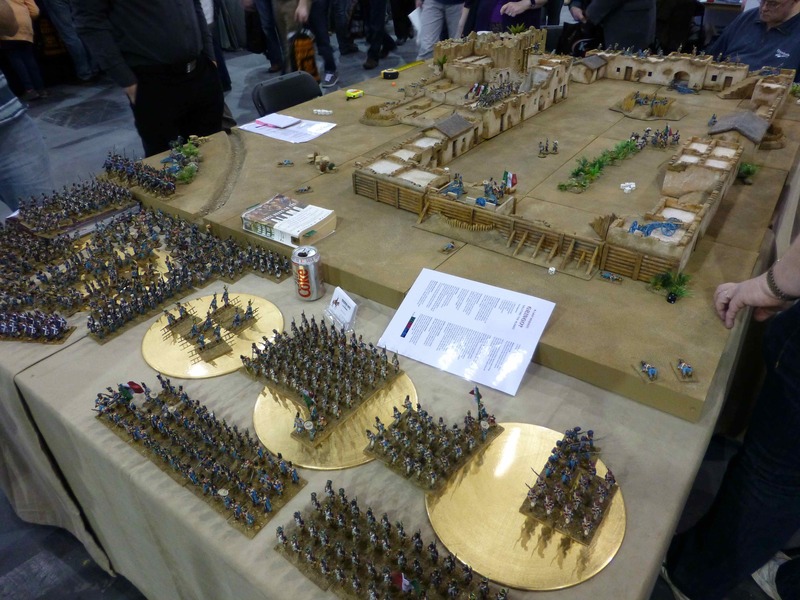 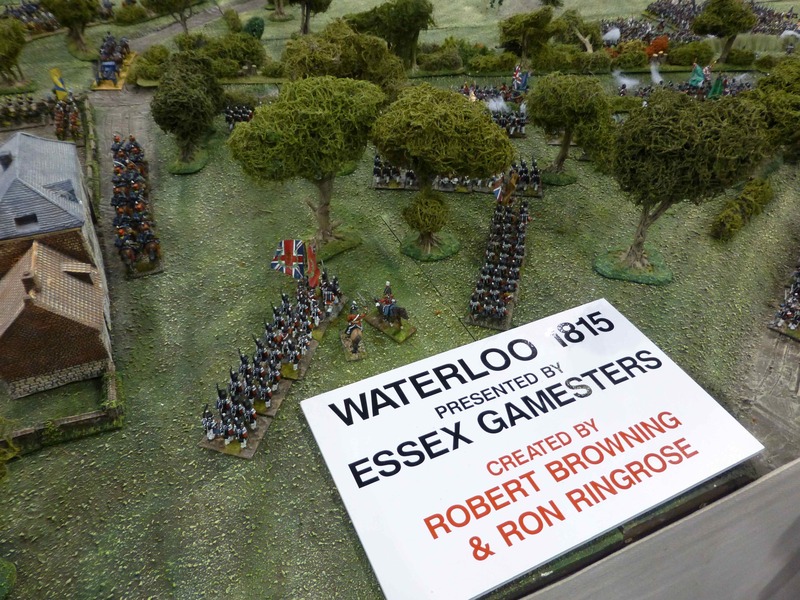 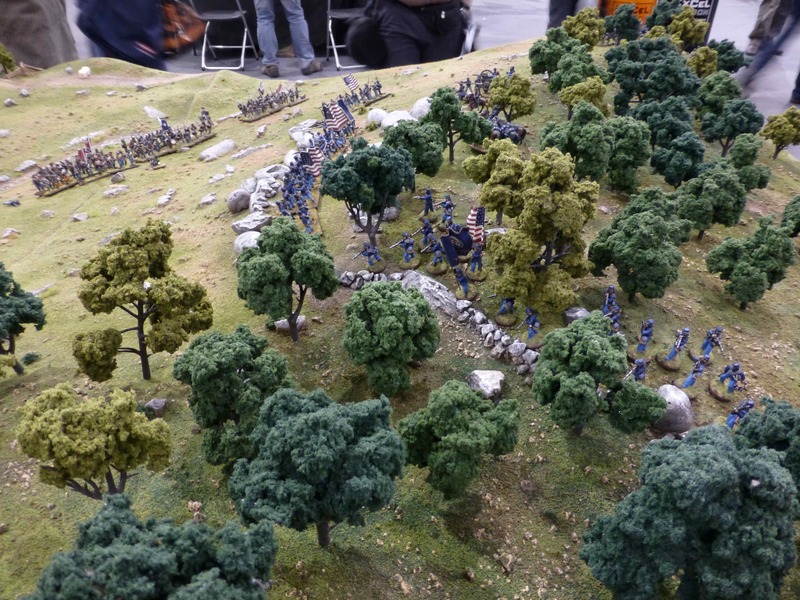 And they don’t come much more spectacular than Waterloo 1815 by the Essex Gamesters Robert Browning and Ron Ringrose (of Corunna 1809 fame) at Salute 2013. 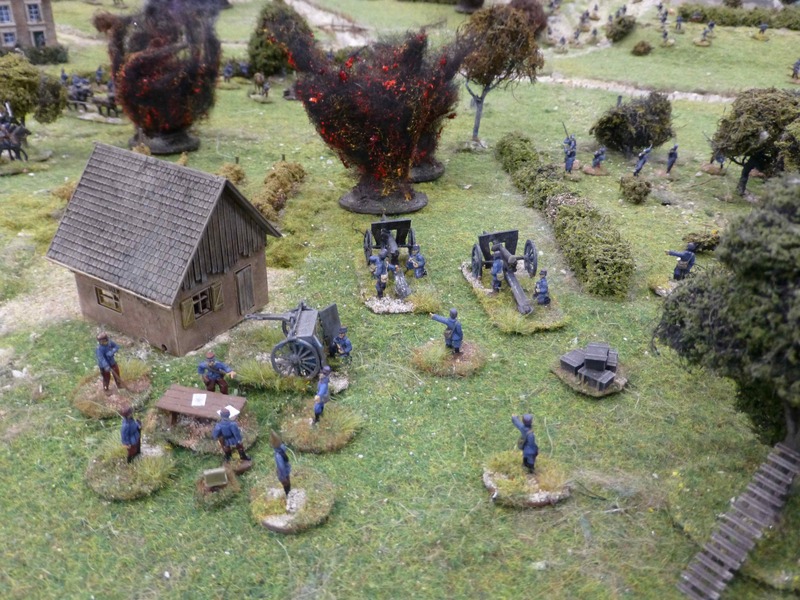 Wargames Illustrated presented the wonderfully naturalistic Battle of Little Big Top American Civil War display. 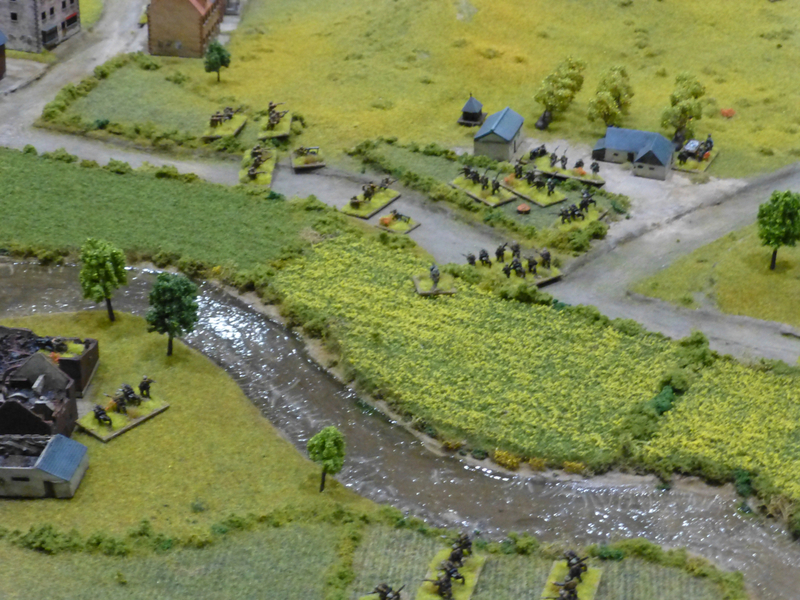 This early WW1 game based on the Miracle of the Marne 1914 was played using the Crush the Kaiser set of rules. 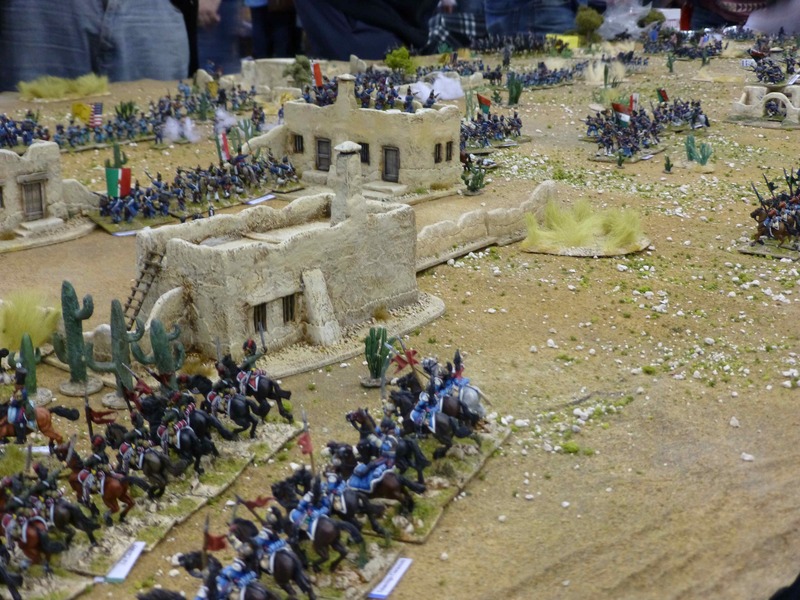 Unfortunately I don’t have details for the tables below, other that they are set during conflicts between the United States and Mexico. 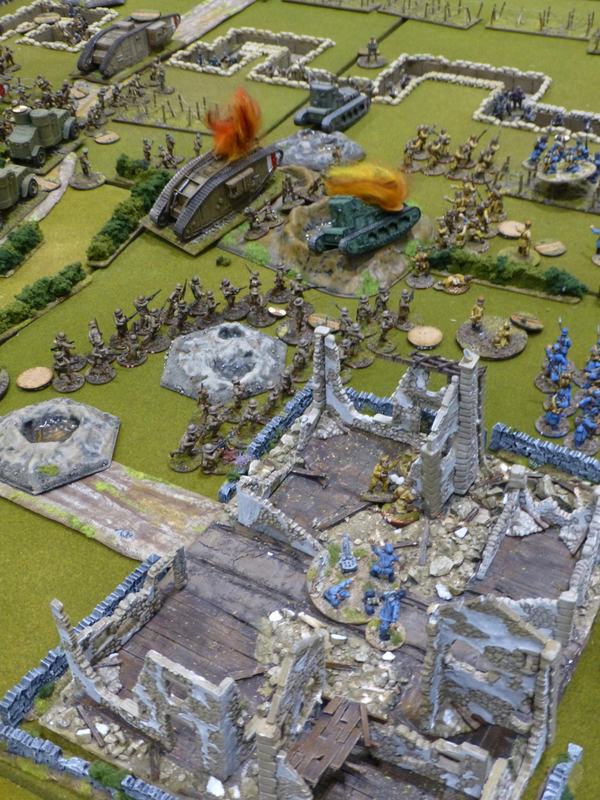 Hope you enjoy the pictures nonetheless.